In front of their home fans at Rodney Parade, the League Two side delivered arguably the biggest upset of the FA Cup third round weekend as they saw off the 2016 Premier League winners 2-1. 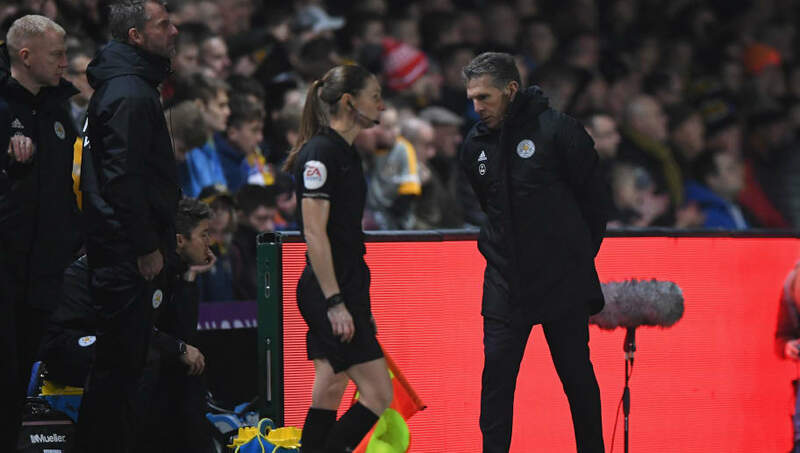 After being criticised for fielding a weakened side in the Foxes' Carabao Cup quarter-final defeat to Manchester City last month, Puel's much-changed line-up on Sunday drew added scrutiny. When questioned about his seven changes for the trip to south Wales, a bullish Puel insisted (as quoted by ​Sky Sports): "I think we had a good team with eight who played winning the title with ​Leicester, and a lot of experienced players and quality on the pitch. "I think we had enough quality on the pitch to qualify, I don't want to look for excuses about this. "I think we lost together, we are all together disappointed and frustrated after this game, because it was an objective for us. This competition was important." Despite the surprise cup exit, Puel also revealed there were no plans for the Foxes to strengthen in the current transfer window, and urged his side to refocus for their ​Premier League game against Southampton. He added: "In the transfer window, we will see what can happen, but the winter transfer window doesn't mean good players are available. Leicester have been beaten by a fourth-tier side or lower in the FA Cup for the first time since 1979-80. "We must focus on the players we do have so I think we'll see in the summer. Then it'll be better to find the right solution to improve the team. "We have to prepare for the next game which will be another tough game but we don't have another choice but to forget this game. It will be difficult but we must try to put all our concentration on ​Southampton."